The Houston, Texas, law firm of Barsalou & Associates, P.L.L.C, understands that its clients are concerned with preserving and maximizing the value of investments, whether those investments involve corporate securities or the maintenance of a neighborhood. In providing quick and economic legal services to property managers and homeowners associations, the firm enables busy property managers and homeowners associations to confidently entrust their most difficult legal problems to our firm. In particular, we act on behalf of property managers and homeowners associations to deal with problem homeowners who fail to comply with property and association rules regarding the collection of assessments and the enforcement of deed restrictions. When necessary, our firm takes these problem owners to court where an order can be entered to force owner compliance with the community rules. Our corporate securities clients appreciate our firm's level of diligence and cost-effective efficiency. When it comes to our clients' issues concerning Regulation D Private Placements, they cannot afford to accept less. In managing these placements, our law firm works with our clients to maximize the likelihood of success by rigorously drafting and reviewing the necessary investment documents. Our law firm's founding attorney is in fact a former owner of a broker-dealer. His firsthand knowledge of the industry provides a level of knowledge equity that other firms only gain after having charged their clients performing the research needed to learn key industry concepts. 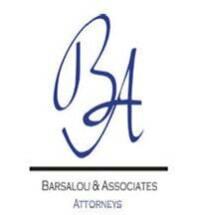 If you have reached the point where you would like us to do your work for you, please contact Barsalou & Associates, P.L.L.C, in Houston at 713-396-3871. You can also contact our firm online.